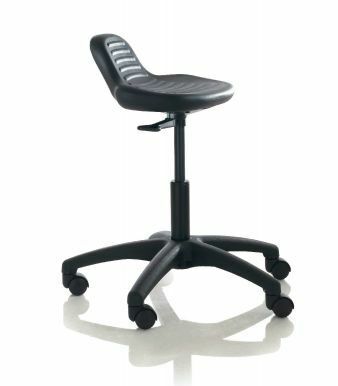 Height adjustable stool with a specially angled seat for extra support and a Black nylon five-star base. 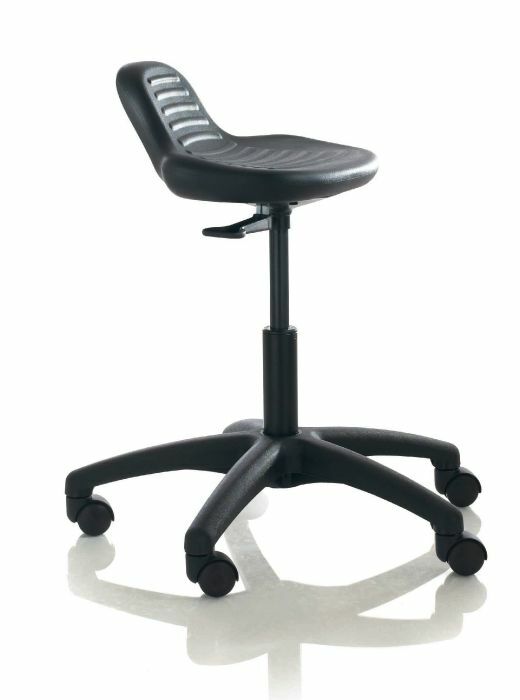 Manufactured in the UK for a 10 - 15 day lead time. Five-year factory warranty.